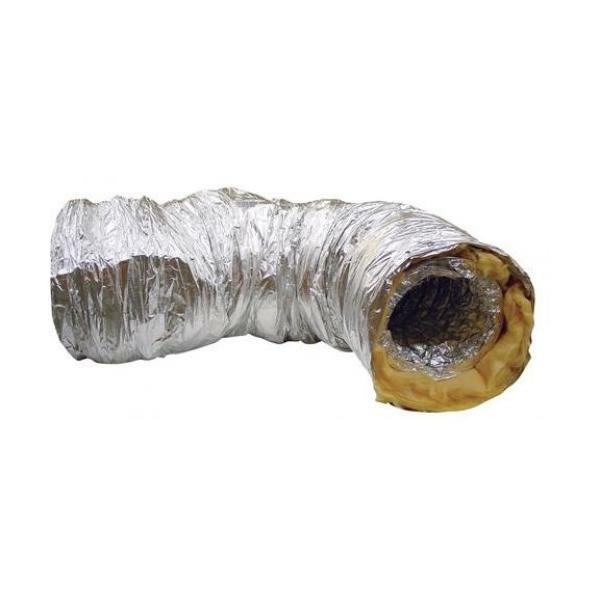 The RAM SONODUCT Ducting is ideal for reducing duct borne noise as well as fan muffling and heat. 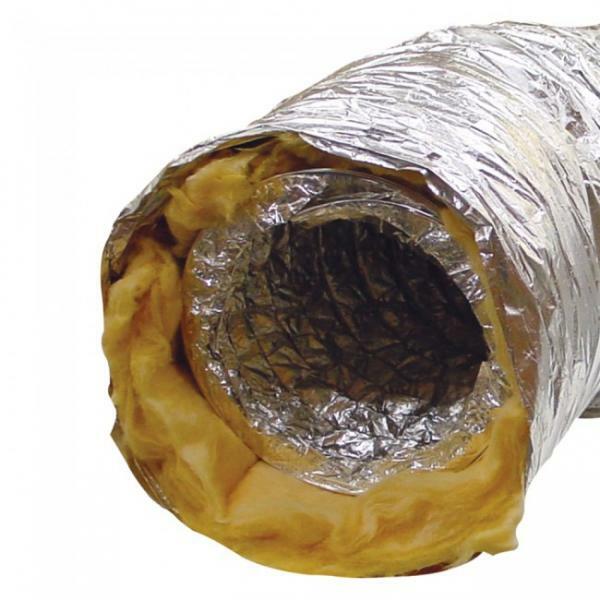 Constructed using micro perforated inner ducting to dampen noise and an acoustically transparent inter-liner which acts as a vapour barrier, this ducting has 25mm fibrewool insulation and is covered with an outer jacket, which is a multi-layer Aluminium/PET mix offering great flexibility and strength. The inter-liner is in place between the fibrewool and the perforated inner duct to avoid fibrewool particles from entering the air stream and reducing flow rates from wool drag. It also acts as a barrier against damp expelled air from entering the fibre wool creating a breeding ground for pathogens. The products have been tested for fire resistance.